This is one part of the puzzle. I may not happen exactly like that the next time, but if it does happen again, extreme caution, and extreme action, like shutting down all the nuclear plants PRIOR to an accident and earthquake. 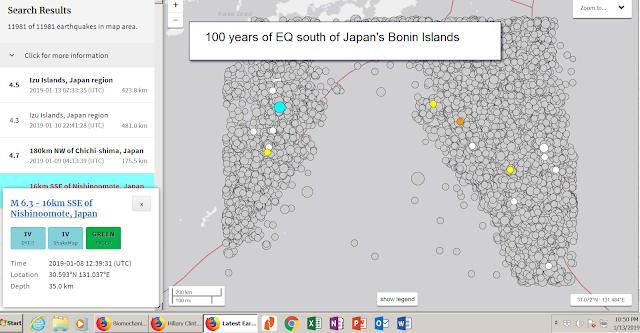 The area south of the Bonin Islands in Japan seems to be a sticking fulcrum. 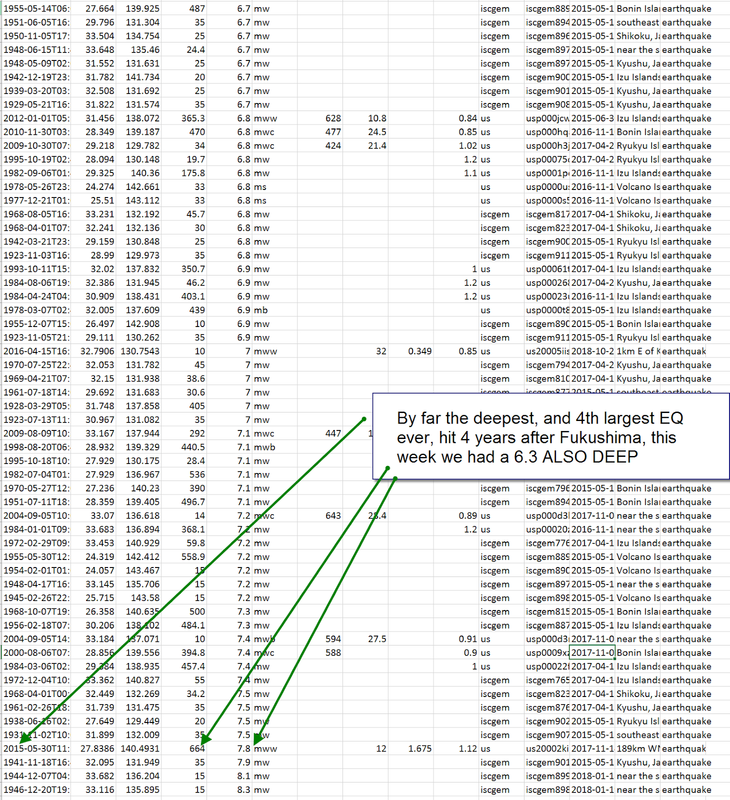 There are regular EQ here through a wide variety of depths, probably the deeper ones contribute to the shallower ones. 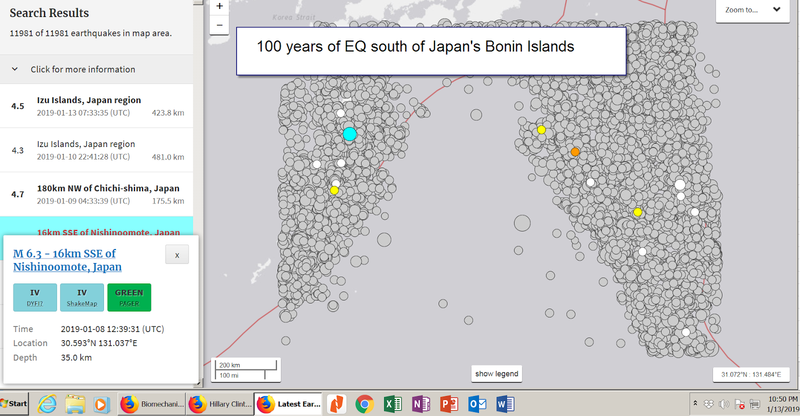 Note how the red fault line is drawn continuous, but that is false, there is a lot more going on here, and I noted a long "lull" of activity here shown in the blue chart. This is a 100 year chart. Small lulls have occured in the past, but when this long lull came.....fate came in it's wake. 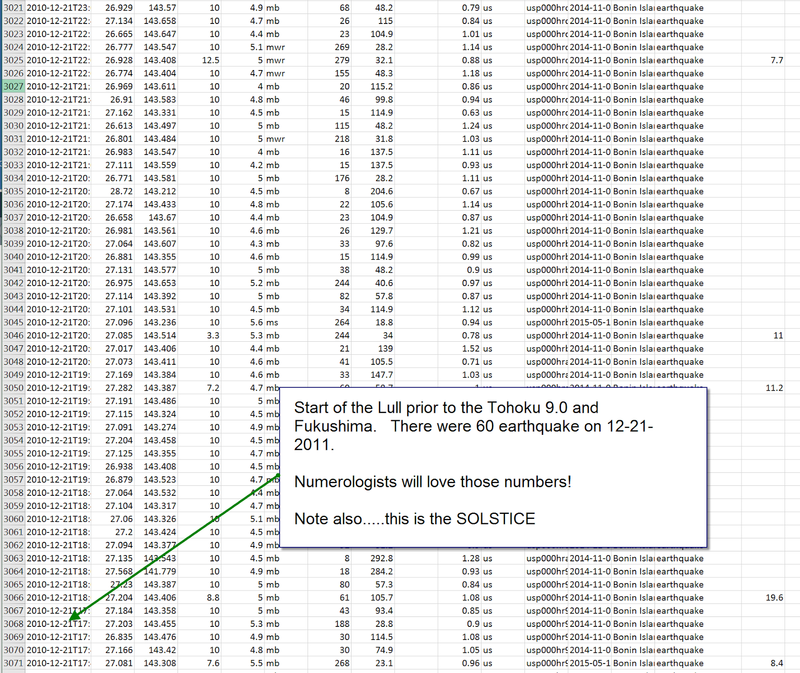 The lull started on the Winter Solstice of 2010, it "kicked off" with 60 EQ on the Solstice, and then the fulcrum got stuck. 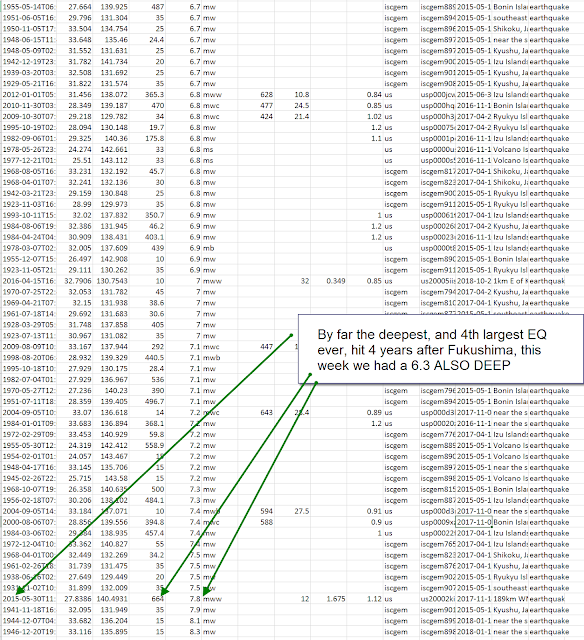 And see last chart....some spooky deep EQ this week, read the notes. Did you see this one Plowboy?